Home Legal Solutions What Makes A Good or Bad Arbitrator? What Makes A Good or Bad Arbitrator? As a member of the construction industry, at some point during your career, you will likely engage in arbitration. Arbitration provisions are prevalent in construction contracts and disputes giving rise to arbitration are difficult to avoid. Oftentimes, arbitration is a good way to resolve a dispute because handled well, it can be a cost-effective, efficient, proper way to resolve a dispute. However, there are other times when the results of arbitration leave a bad taste in the mouths of all participants. So, what makes for a good arbitrator and what makes for a bad arbitrator? This analysis is my opinion. It is based on 35 years of practice as a construction lawyer, my role as counsel for parties in many arbitrations, and my role as an arbitrator sitting in judgment of claims on many occasions. Being an arbitrator is not easy. You are called upon to decide complex cases, award money or other relief, and to determine who is right and who is wrong in a dispute. In all likelihood, if the parties could have determined on their own who was right, who was wrong, and how much money was owed from one party to another, they would not be in arbitration. Therefore, once we get to an arbitration hearing, both sides strongly believe in their case and it is the role of the arbitrator to consider the matter and then render a fair, competent, and thorough decision. Arbitrators who are well respected are those who exhibit appropriate professionalism throughout the process. This starts at the pre-hearing conference in which the arbitrator takes control of the proceeding and establishes a fair and efficient schedule for all activities to occur prior to the actual hearing. This can include the exchange of documents, depositions if appropriate, a site visit, and other tasks to make sure that everybody has a fair and equal opportunity to prepare for the hearing. Arbitrators are often criticized for not enforcing their orders. The arbitrator will issue an order setting a schedule with deadlines, address discovery issues, address the exchange of documents, and then ignore enforcement of the order when circumstances arise. An arbitrator should enforce the rules of arbitration. Arbitrators get paid for their services. In fact, arbitrators receive advance deposits to cover their fees. Seeking payment from a losing party after issuing a decision will be difficult for an arbitrator to accomplish. Therefore, the need for advance deposits exists. But a good arbitrator must keep track of his or her time, provide a fee statement that is all-encompassing and shows the parties that the time billed was properly incurred. The parties should know in advance if the arbitrator is going to charge for travel time, study time, or other activities outside of the actual hearing. Perhaps the greatest criticism of arbitrators is how he or she handles the hearing. Is the arbitrator engaged in the hearing? Is the arbitrator too engaged, meaning does the arbitrator make up for the weaknesses of a party or unrepresented party who may not properly articulate his or her case or ask the right questions? Should the arbitrator do so? Does the arbitrator express or convey a certain bias in favor of a party or in favor of a type of parties such as architects, general contractors, subcontractors, or others? Does the arbitrator appear to be favorable to the local lawyer he or she may know as opposed to non-biased and treat everybody in the hearing room fairly and equally? Arbitrators need to be fair. Arbitrators need to be professional. Arbitrators need to manage the process efficiently and economically. To do otherwise gives rise to a poor process for all involved. Arbitrators are often called upon to address discovery disputes. The parties may argue over whether all documents have been produced. The parties may argue over dilatory tactics in producing documents. The parties may argue over the availability of witnesses, damage calculations or other matters. 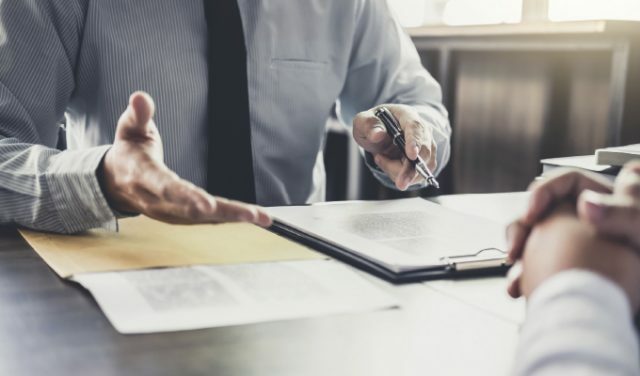 The arbitrator’s role is to make sure that the parties have all the information that they need to properly pursue and defend the claims that are being made in the case. An arbitrator should be proactive in the process in order to make sure that the parties comply with their obligations. This may require periodic conference calls with counsel. It could even require meetings or conferences with counsel and the parties so that everyone involved in the process has an understanding of the expectations and obligations placed upon the parties throughout the arbitration. Everyone who has been in an adversarial proceeding knows that electronic discovery is out of control. Everybody knows that on large projects the documents can number in the millions and the burden upon parties to produce all electronic discovery can be insurmountable. The costs can at times outweigh the amount in dispute. A good arbitrator gets ahead of this e-discovery issue and properly manages it. A good arbitrator working with the parties establishes a process and a means for producing e-discovery that is fair. Such a process must not only be fair but take into account the costs involved in producing e-discovery, as well as the amount in dispute in the case. It makes no sense to produce millions of documents, which are maintained electronically by many people in a company when the claim existing between the parties is only $20,000. Rather, a process to produce only that which is absolutely necessary to the claims and defenses can be created and followed under such circumstances. Lastly, a good arbitrator writes an award or decision that conveys to all parties the basis for the award. Sometimes these decisions can be extremely short and simply state who won, how much and why, or they can be extremely long addressing all of the evidence presented in the case, the credibility of the witnesses, and issue conclusions about the amount in dispute, who won and why. Regardless of the length of the decision, what must occur is for the arbitrator to base his or her decision upon the facts presented at the arbitration, apply the applicable law, and make it clear to the parties why the arbitrator has reached the decision issued. There are good arbitrators and bad arbitrators. A good arbitrator treats this process extremely professionally and thoroughly. Hopefully, you will have more experiences with good arbitrators than bad arbitrators. Thomas L. Rosenberg is a partner at Roetzel & Andress, LPA, a full-service law firm with offices throughout Ohio, Florida, and in Chicago. Based in Roetzel’s Columbus, Ohio, office, Rosenberg has more than 30 years of experience as a construction lawyer and leads the construction law practice at Roetzel, which has been recognized regionally and nationally as one of the top law firms for construction and construction litigation. Rosenberg has received numerous honors as a construction lawyer and is actively involved in local, state, and national construction law organizations. He is a Fellow in the American College of Construction Lawyers and is the chair-elect of the American Bar Association Forum on Construction Law. He can be reached at trosenberg@ralaw.com.